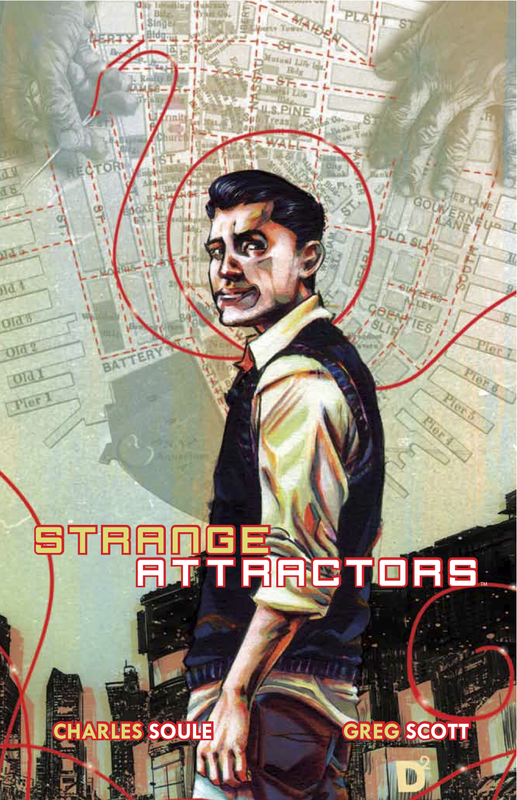 Strange Attractors is a graphic novel put out through Archaia Entertainment that is one of the many recent endeavors of writer Charles Soule and also features art by Greg Scott, and Complexity Maps by Robert Saywitz. You might be saying to yourself, what the hell is a complexity map and why does someone get such a specific credit like that in a graphic novel? I promise you'll at least have a vague idea of what that is by the end of this review. Full disclosure before I dive right in, myself and Wilderowens did attend the book release party for this graphic novel a few weeks ago. There we got to talk to Charles Soule briefly as well as Robert Saywitz. I was already familiar with Charles' work on Strongman so going into this I had an idea of the kind of quality story telling I should expect, but this book honestly surpassed any expectations that I could have possibly had. I was first impressed by the quality of the printed book itself. Archaia has always produced beautiful looking books. This particular hardcover holds true to the high benchmark that Archaia has for its products in terms of binding, paper quality, etc. And for 128 pages of goodness at a $19.95 price point, we're already looking good before I even start reading it. Upon reading, you'll see that Strange Attractors is a loving tribute to New York City. From Charles' intro, to all the different kinds of people we meet along the way, you can tell that there is a deep level of sincerity and sentiment for this city that never wavers even for a moment. I understand many of you might want to know what the plot is here, and I get that. It's almost impossible to describe this very intricate story without spoiling something so I will try to be as vague as possible. A mathematics student, Heller Wilson, is working on his thesis. In order to do so, he needs to find a Dr. Spencer Brownfield who can give him the insight he needs to put everything together. However, once he meets Dr. Spencer Brownfield, Henry gets dragged into a world of uncertainty. Henry will have to fight not only for his thesis, but for his lover, his sanity, and for the fate of all of New York City. Charles does an exceptional job of keeping you interested every panel of every page. This, of course, would not have been possible without Greg Scott's brilliant eye catching art and the ingenious idea of incorporating these gorgeous complexity maps from Robert Saywitz. These maps that we see sprinkled through the story are key to helping Henry and Dr. Spencer Brownfield keep New York City going. It might not make a great deal of sense now, but if I could tell you exactly what they do without spoiling anything then it just wouldn't be that layered of a story, now would it? I implore you all to go pick this up at your local comic shops, to ask them to bring it in if they haven't yet or are sold out, and to tell other people you know that want a graphic novel that pushes the medium to new heights to do the same. If you have no other way to get this book, order it on Amazon which it is available through as of May 28th. Do whatever you have to to own this. Charles Soule is an absolute fantastic writer that is worth every moment of your time. He's currently working on Swamp Thing starting from issue 19 and will be starting on Red Lanterns next month with issue 21. Pick up Strange Attractors so you can say you knew about him before he got big, because I'm telling you right now, he's going to be. You know how you didn't know who Scott Snyder was until Batman came out and by then everyone was all over his stuff? Don't make the same mistake with Charles Soule. He signed my copy of Strange Attractors with this phrase and I'd like to end with that here; "Stay complicated. You excel at it and we need it." 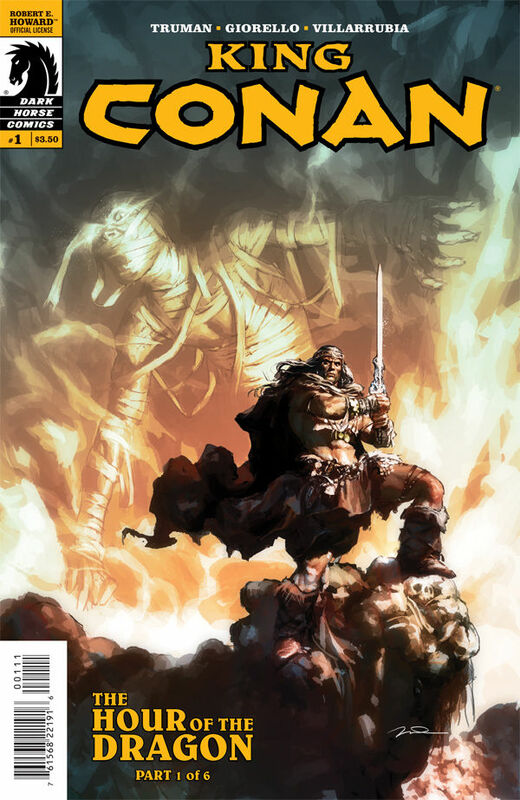 This Wednesday, May 29th, Dark Horse Comics premieres Issue #1 of 6 of a new Conan series titled King Conan: The Hour of the Dragon. This is scripted by Timothy Truman, with art by Tomas Giorello and adapted from the novel of the same name by Conan creator Robert E. Howard. Let me start with what I do know about Conan. Admittedly, I'm not well versed in the comics. My knowledge of Conan comes primarily from the two films starring Arnold Schwarzenegger and the cartoon Conan The Adventurer which I watched often as a kid (I even had some of the action figures!). In all fairness, that probably gives me a better background on the character than the average person you'll run into on the street, but that doesn't necessarily prepare me for the kind of intricate plot threads you'd find in a comic book series that has been going on more or less for many decades. 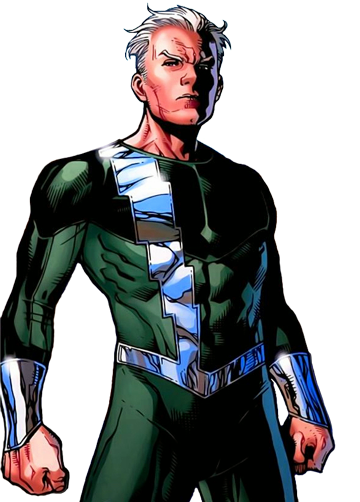 Quicksilver (aka Pietro Maximoff) has been all the talk this past week, with confirmation that the character will be in The Avengers 2 and X-Men: Days of Future Past, thus causing two studios to fight over him. With all this Quicksilver love going on, it’s safe to say he is the new big man on campus. For everyone who isn't completely up to date on this character (I admit my knowledge of Quicksilver is limited), here is a list of his highlights. Back in August of last year, The Mighty Titan became a successfully funded Kickstarter project. Created and written by Joe Martino with art by Luca Cicchitti, this is a deeply personal story from Martino using a superhero tale as a backdrop. This is a review of issue #1 of 5. Out this week is The Planet Thieves by Dan Krokos. This is the first book in this new young adult series from Starscape Books. 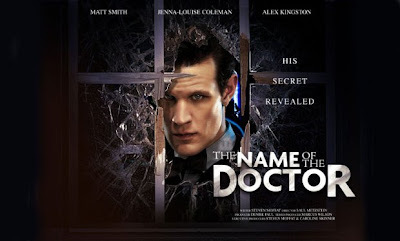 This is the newest addition to the teenage saves the day theme that has become so popular but is the first to be part of the sci-fi genre in a long time. Humans are at war with an alien species called the Tremist. This war story follows a group of young military cadets during their summer session in space aboard the SS Egypt, when they are attacked. The oldest cadets, led by classic troublemaker Mason, run off to help but this isn't the classic Tremist attack. They are looking for something specific. Now, I've given a very basic overview but there is a lot more into this story. Check out this trailer to really get your heart pumping. 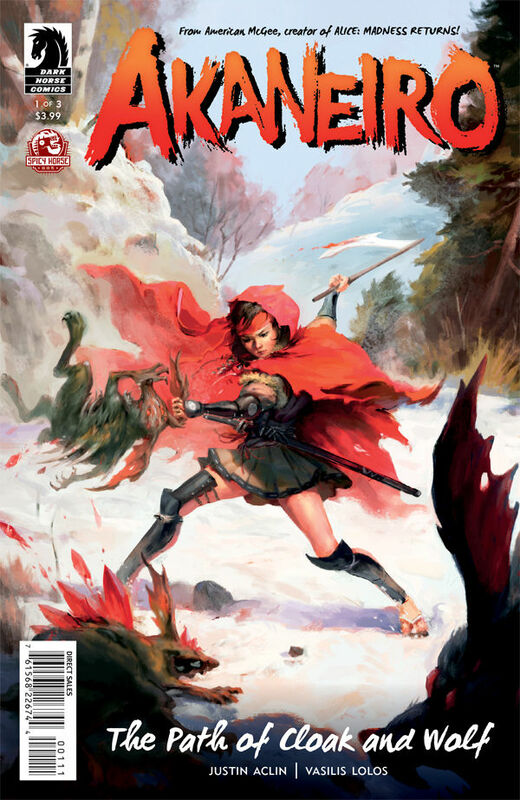 On Wednesday, May 22nd, Issue #1 of 3 of Akaneiro will be hitting the comic shops. This is a joint Dark Horse Comics and Spicy Horse Studios production. It's written by Justin Aclin with art by Vasilis Lolos with the concept created by American McGee, creator of Alice: Madness Returns! Before I get into the review, I want to put this book in context. This is a property based on a game (ARPG specifically) from Spicy Horse. This game had a Kickstarter the beginning of the year and a week into it they announced this comic as a supplement to the game. I feel that the context of where the comic originates from is important here. Series 7 is in the can. In a series that has been extremely uneven, this was a solid ending. It answered some questions and left a few open, but like the rest of the series; it had its ups and downs. THIS WILL CONTAIN SPOILERS, SWEETIE. 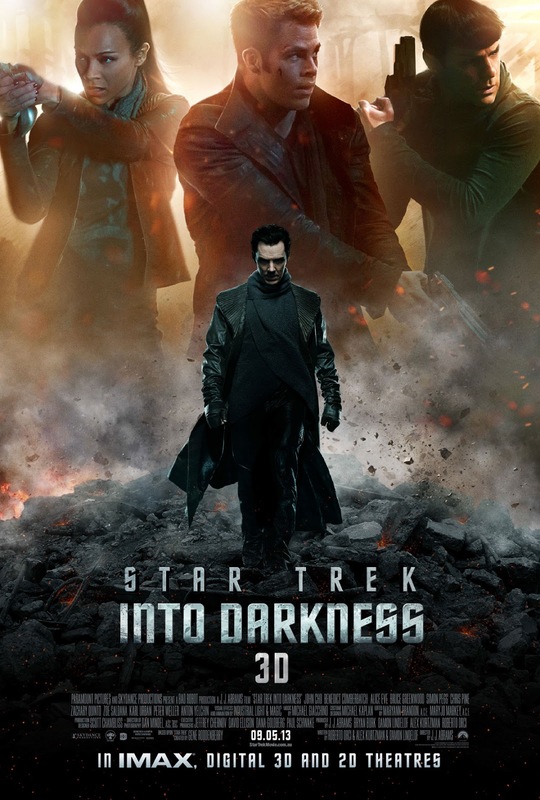 This past Wednesday, five contributors to [IGH] set off on a mission, to boldly go and see the new movie, Star Trek Into Darkness. Not surprisingly, we all had various opinions of this much-expected film. So we have brought you a MEGA REVIEW filled with a variety of opinions! If you have seen the film, share your thoughts in the comments too! Much like the previous film, the performances in Star Trek Into Darkness were all great! The relationship between Kirk and Spock was absolutely perfect. Their constant back and forth brings a natural progression to the relationship you were introduced to in the first one. The rest of the crew did a great job sticking with their Captain. But my hat goes off to Benedict Cumberbatch. He did a phenomenal job! OMG, he was good. I was a little skeptical to see what he was going to do in this but he was absolutely spectacular as the villain. He brings a huge menacing presence that absolutely over shadows everyone that is in the scene with him. Besides it being a full of great performances; it is beautifully shot. At no moment in this film do you feel that you are watching a regular movie that is filled with CGI. There are some scenes that you are engulfed into the environment and you feel like you are on a strange planet. The story is really well put together and does a great job providing fan service. Even though this film is part of a franchise that has been around for years, people with no knowledge of the previous films can enjoy this. There is one moment in particular that had me in tears. Not only because of the fan service but because of the connection I had with the character. I absolutely love this film and I can't wait to watch this a third time! 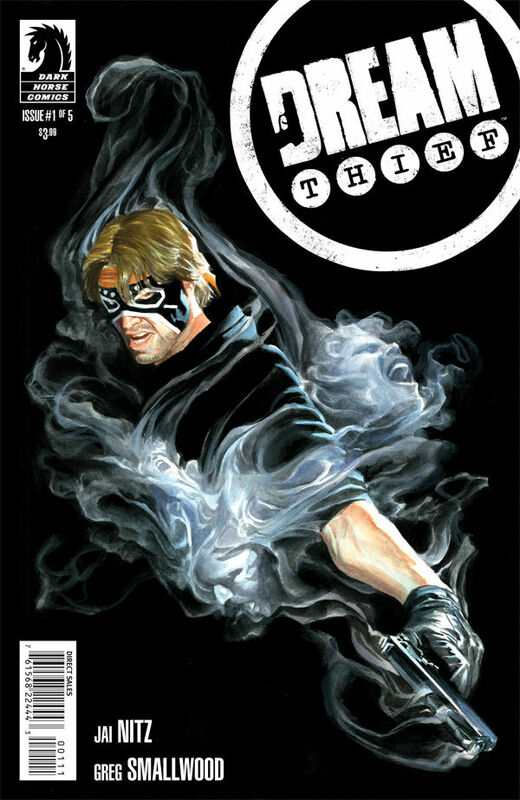 Today, Issue #1 of 5 of Dream Thief will be available at your local comic shops. This book is put out by Dark Horse Comics, written by Jai Nitz with art by Greg Smallwood and a gorgeous cover by the legendary Alex Ross. From Dark Horse Comics: After stealing an Aboriginal mask from a museum, John Lincoln realizes that the spirits of the vengeful dead are possessing his body and mind while he sleeps! His old problems have been replaced by bloody hands and the disposal of bodies—and now remembering where he spent last night has never been more important! Welcome to our new contributor, Reboot! He will be joining [IGH] as a comic reviewer. 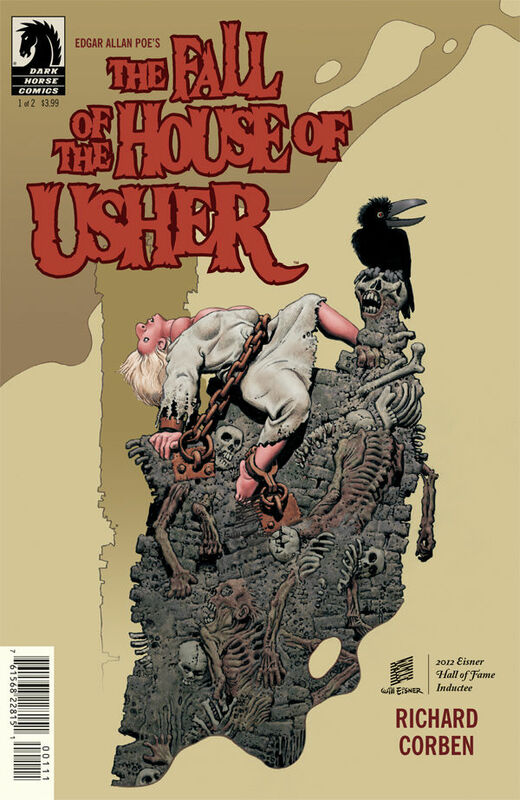 On Wednesday, May 15th, Issue 1 of 2 of Edgar Allan Poe’s The Fall of the House of Usher will be hitting the shelves. It’s adapted and drawn by Richard Corben and put out by Dark Horse Comics for $3.99. To start, Richard Corben’s art is beautiful as always and is worth the $3.99 admission if his style speaks to you. How he captures the people, the trees, the exterior of the house; it’s all stunning and original in its own right. His use of colors and shadows are mostly spot on and give you a feel for the impending doom ahead. He also makes good use of the 22 pages he has and creates a story that could stand alone despite only being half of the full story. Unfortunately, most businesses at some point experience issues with one or more employees. Perhaps you suspect an employee is flexing their schedule without permission. Or, maybe you allow employees to work remotely or from home, but feel their work is just not getting completed Worst case scenarios involve fraud, where an employee steals or attempts to steal something, either tangible like money or intangible such as proprietary information. As cloud-based technologies become more widely used among businesses, they bring added benefits of new of ways to help uncover unethical employee behavior. In a totally cloud immersive environment, transparency is both inevitable and useful to business owners and managers. First, if you plan to monitor your employees, it is a good practice to have clear written policies. Within those policies, inform employees how any monitoring may be done. Once you establish the ground rules and make employees aware their work, online activities, etc. may be monitored at any time, you should be ready to spot check as necessary. The beauty of the cloud, especially an environment which is completely cloud immersive, is it offers the ability to see what work is actually being done. Let’s say an employee who you feel may be slacking or is taking “extra long” business lunches tells you he is “working” on completing his assignments. Don’t believe him? Log into that employee’s cloud files and see the exact time and date he uploaded his work and where he or she really is with the project. So, just how much work do your employees complete while you are away? The cloud allows you to log in remotely from anywhere to see what work is being completed, monitor log-in and status reports, etc. Makes it much more difficult for the “mice to play”. Let’s say you give your employees liberty to work from home under certain circumstances. Or, maybe an employee has an appointment in the morning and, rather than taking the entire day off, asks if he or she can just work from home rather than returning to work. It’s fairly easy to see exactly what they are working on, especially if the company uses a platform such as Google Apps for Business. Documents, spreadsheets, etc. are edited and updated in real time, so you can actually see if work is being completed. Some cloud applications allow you to check to see if a particular employee is logged onto their computer and available. This is great for larger with offices which are spread out. Certain cloud applications give you options to monitor employee productivity. Let’s say you are doing some spot-checking, and you notice a certain employee seems to be working on projects which they weren’t assigned or looking at documents and information which really don’t have any relevance to their job. This could be a red flag. Check with your cloud provider and learn ways their applications and platform may be able to help you detect possible employee fraud. As the cloud continues to evolve, expect additional ways to monitor employees. However, while you want to make your employees aware that monitoring is a possibility, try not to make them “paranoid” or feel as if you distrust them. If you are not using any cloud applications to date, Google Apps is a great place to start. Not only is it easy to integrate and use, but a number of free tools, audit logs and data backup options are also available. Good luck! Gina Smith writes freelance articles for magazines, online outlets and publications. Smith covers the latest topics in the business, golf, tourism, technology and entertainment industries. 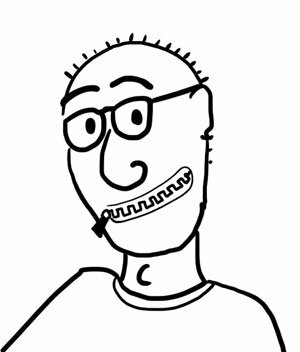 Express Yourself Wordlessly for Dialogue Free Comics Day! May 17th is the 4th annual Dialogue Free Comics Day, a day dedicated to expressing a story through the art of comics. Noel Curry, the founder of DFCD, started this day because he sometimes forgets that comics "is primarily a visual artform." With a day dedicated to storytelling without words, we can see how much can be shared through art. It sounds difficult but it's not as hard as you might think, since each year webcomics flock to take part. Kinda wondering if this is Noel Curry's Self Portrait? If you have artistic talents, why not try submitting your own? Wysefyre and I both took part (here and here) in 2011; after seeing our comics you will understand why we haven't since. Even so, this is one of my favorite comic events of the year. I enjoy the great art storytelling, plus checking out new webcomics! I encourage all of you to take part by checking out the past and current submissions on the site. I'm sure you will enjoy it too! If you’re in the market for a new flat-screen TV, the video display format is most likely one of your main considerations. The two major formats -- 1080p and 720p share many similarities, but there are subtle differences you should understand before deciding what kind of TV to buy. Check out the information below to get a better understanding of these two formats before you make a purchase. The main element 1080p and 780p share is that they’re both progressive display formats. This is what the “p” stands for in their names. Progressive display means that all the pixels are working together to create each frame of video. Interlaced technology, on the other hand, uses even and odd horizontal rows of pixels to create every other frame. 1080p: A 1080p HDTV is 1,920 by 1,080 pixels. This means there are 1,920 pixels displayed horizontally and 1,080 displayed vertically, resulting in 1,080 lines on the screen displayed progressively. 720p: Along the same lines, a 720p HDTV is 1,280 by 720 pixels, with 1,280 pixels displayed vertically and 720 displayed horizontally. The main difference is the number of pixels that go into producing the image. The greater the number of pixels, the greater the image quality. With 720p, about one million pixels make up the image, while with 1080p, approximately two million pixels make up the image. This means that the image detail coming from a 1080p HDTV is far greater than a 720p, making it the most detailed high-definition image currently available to consumers. It may seem like a no-brainer to go with 1080p based on its superior image quality, but it’s important to note that the majority of TV programming is not broadcast in 1080p. This means that if you purchase a 1080p HDTV, the image won’t necessarily be displayed at that quality, but instead scaled to 1080p with the resolution kept at the 720p level. So, if most of what you’re watching will be displayed in 720p, why not just buy a 720p HDTV? Apart from the obvious advantage of superior image quality, 1080p reigns supreme when it comes to Blu-ray and video game quality. Unlike television broadcasts, Blu-ray discs and most video games are formatted in 1080p. So, if most of your TV time is spent watching movies or gaming, a 1080p HDTV might be the right choice for you. When choosing between these two formats, it all comes down to your viewing habits, preferences and price range. If you’ll mainly be watching broadcast television on a screen less than 40 inches, a 720p HDTV is a great choice. But, if you want larger screen viewing for Blu-ray DVDs or gaming and have some extra money to spend, 1080p will be worth the price for the advanced quality. Post is sponsored by h.h. gregg. KNOW THE TRUTH! DON'T CELEBRATE MAY THE FOURTH! We all get excited about May the Fourth aka Star Wars Day, celebrating the lighter side of the force. However, there is a darker side to this popular holiday. Here is an "instructional" video about the truth of May the Fourth. Once you see it, you will totally understand the insidious nature of this seemingly cheery holiday. Iron Man 3 Celebration Giveaway! Iron Man 3 is out today!!! Huzzah Huzzah! With all that excitement in mind, we are giving away a Iron Man 3 prize pack to one lucky reader. You get a fabulous Iron Man 3 t-shirt (courtesy of Marvel) and a Silver Surfer Bottle Opener (courtesy of Diamond Select Toys). Why a bottle opener not at all related to IM3? Two reasons. One, Tony Stark likes to drink, so obviously bottle opener. Two, I have too much stuff in my giveaway box. Also, stop complaining. Editor's Note: Saw Iron Man 3 and in the first (maybe) ten minutes, you see a character wearing this exact shirt. If you don't believe me, go see the freaking movie. You can't buy this awesome shirt in stores. Ok, maybe eBay. So enter now! You may win and have a chance to rock this awesome shirt while you pop open bottles for your friends!